A political analyst has described Israel as the United States’ “worst enemy,” saying the American intelligence and law enforcement community “despises” Israel, Press TV reports. a former US military intelligence officer, about the sentiments towards Israel within the American intelligence community. “When I asked about what the feelings were in the intelligence community about Israel and before I’d even finished my sentence, he said they hate them, they despise them. And I asked about the other law enforcement agencies such as the FBI and others, he said they despise them,” the analyst said. There are fears in the United States that admitting Israel into the country’s Visa Waiver Program would facilitate espionage activities by the Zionist regime in Washington. Israel has long sought entry into the 38-nation visa program which allows foreigners into the US for 90 days without visa requirement. So far, US officials have refused Israel’s admission into the program only because it has failed to meet requirements. But several Senators are drafting a bill to lift those requirements for Tel Aviv. Should Israel be kicked out of FIFA? 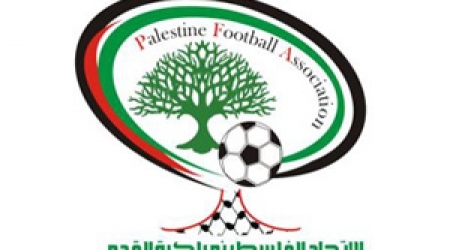 The Palestinian Football Association (PFA) is seeking a FIFA ban on their Israeli counterparts after years of seeing football flounder under occupation. But would such a move solve anything? Israel currently illegally occupies the West Bank, East Jerusalem and exerts a blockade on the Gaza Strip. It makes working at the PFA quite difficult. Restrictions on players moving in, out and between the Palestinian territories are among the many problems it faces while trying to develop the sport under occupation. This is in addition to the reported shooting of young footballers by Israeli security forces. FIFA recognises the problem and set up a task force last year with the aim of signing an agreement by both and getting the issue resolved ahead of this June’s FIFA Congress in Sao Paolo. But if the deal does not meet expectations, the PFA plans to launch an audacious bid to get Israel expelled from FIFA. “If the Israeli occupation is unwilling to budge from its racist policies and if all the good efforts of FIFA, UEFA, and the AFC fail, we will find ourselves compelled to put the matter to the congress,” PFA Chairman Jibril Rajoub told Al Jazeera. 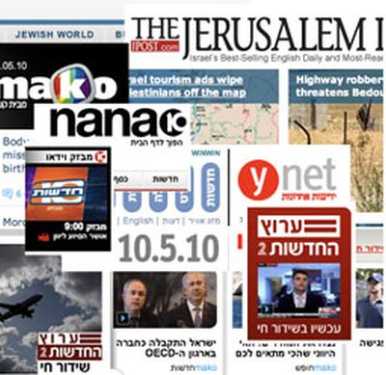 Despite the threat, the Israelis believe things are moving forward. An Israel Football Association (IFA) spokesperson confirmed to Al Jazeera that ‘the IFA deals in full cooperation with FIFA on the topic and in the last few months, there has been an improvement in the work relations’. For the PFA, Israel’s expulsion is not their aim, just a last resort. But the fact that there are talks of that happening suggests how far from reaching an agreements both sides are. But would getting Israel expelled fix any of PFA’s problems? Since this is a security matter, negotiation with the football association will not work. Only threats and pressure will force the Israeli government to take action. In addition to the restrictions of player movements, coaches and officials face the same problems, according to the PFA, with Israel’s security forces accusing the Palestinians of using football to hide the movement of weapons and militants. There is also the issue of player safety - earlier this year, two young Palestinian players were reportedly shot in the feet by Israeli security forces. Their football career ended there. The PFA also alleges that Israel constantly interferes in bids to set up international friendlies. While an expulsion may not improve these conditions, it might be the only way to bring a change, according to Uzi Dann, the international sports editor of Haaretz, an Israel newspaper, who told Al Jazeera that the move will not ‘benefit Palestine in the short term’. “It won’t solve the movement problem right away,” Dann said. “From my experience, only threats and pressure can solve this problem. Since this is a security matter, negotiation with the football association will not work. Only threats and pressure will force the Israeli government to take action. At the core of this dispute is the issue surrounding the right to play the game. Occupation heavily impedes this. But if the Palestinians get Israel expelled, it will be the Israel players who suffer. Dann believes that although that would be unfair, it is perhaps necessary. There is also the view that the only way for Palestinian football to flourish is through political liberation and a FIFA expulsion is big a step towards that. That’s the position of Omar Barghouti, a Palestinian human rights activist and co-founder of the BDS movement, which pushes for boycotts, divestment and sanctions against Israel. He told Al Jazeera that ‘expelling Israel from FIFA, as well as from international academic, cultural and economic associations, effectively shatters their criminal impunity and contributes to the Palestinian struggle for freedom, justice and equality’. Barghouti likens the situation to an Apartheid South Africa, which was banned from FIFA in 1961, and that ‘international isolation, especially in sports, was a key factor in ending Apartheid’ and having the country reinstated. It is unclear what will happen between now and the FIFA congress - which opens on June 10. FIFA President Sepp Blatter is due in the Middle East to meet major political figures on both sides to conjure up a deal. The Palestinians are unlikely to be holding their breath and a push for the expulsion seems likely. The only way to know whether it will achieve anything or not might be to try it. What is for sure, however, is that no country would enjoy the humiliation of being red carded from the beautiful game. UN Mideast envoy Robert Serry has slammed Israeli Occupation Authorities (IOA) for denying him and UN diplomats access into the Church of the Holy Sepulcher as part of Easter celebrations in Jerusalem’s Old City. Serry said in a statement on Sunday: “Israeli police prevented me and two other diplomats along with other Palestinian Christian pilgrims to cross a barrier to partake in Christian religious rituals performed on the occasion of the Holy Fire ceremony” on Saturday. The UN official added that the diplomats were crushed by a crowd of worshippers trying to pass through the barricade to watch “Holy Fire” ritual in the church. In the same context, Israeli police blocked the entrances of all Old City roads leading to the Church of the Holy Sepulcher during the ceremony, refusing entry to journalists, international Christian pilgrims, and swarms of tourists. Serry expressed his disappointment when he said he was dismayed that a peaceful procession was disrupted by "unacceptable misconduct from the Israeli security authorities." "Once again I call on all parties to respect the right of religious freedom, granting access to holy sites for worshipers of all faiths and refraining from provocations not least during the religious holidays," he added. Along the same line, Israeli forces prevented Muslim worshippers from freely entering the al-Aqsa Mosque by erecting barricades and launching wide-scale arrest campaigns in lines of Jerusalemite youths. Hundreds of Israeli troops were heavily deployed around al-Aqsa areas. Israel through its relationships and its influence across a wide range of the global media as well as the possession of a number of satellite channels, newspapers and important international publications,exploits the aforementioned in justifying crimes and ongoing violations of Palestinian rights; this doesn't spare international laws and conventions, the violation of which continues unchecked and goes on without even a condemnation. Israel is the only country in the world that violates all international laws with impunity, without being challenged by an international instrument of law. These international conditions emboldened Israel to continue violating Palestinian rights with ugly racist practices; this includes massacres, killing and detention of children, old and young innocents. The a forementioned Israeli crimes include assassinations, restrictions on the movement, media and access to basic services; such as access to medical services and education, in addition to the Israeli building of the apartheid separation wall and construction of Jews-onlyroads. The Israeli crimes continue viciously without being challenged by the international community and law, other than simply reporting these crimes. In this context, Amnesty International released a newreport, published on 02.27.2014, clearly condemning Israel for its documented unpunished violations against thePalestinians. As stated in the introduction to the report, "that Israeli forces showed a clear disregard for human life by its killing of tens of Palestinian civilians in the West Bank, including children with total impunity." The report also shows that the Palestinians who have been killed by Israeli soldiers - during the period covered by the report - did not pose an immediate threat and a direct bearing on the lives of others when they killed. In other cases the evidence proved they were the victims of murder fall under war crimes. Israel is holding secret talks with some Arab states that do not recognise it, looking to establish diplomatic ties based on a common fear of Iran, Foreign Minister Avigdor Lieberman told Yedioth Ahronot in an interview published on Monday. Amongst the countries he was in contact with were Saudi Arabia and Kuwait, Lieberman said - the first such disclosure by a senior Israeli official. 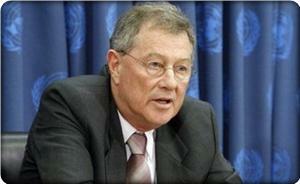 The two nations swiftly denied the existence of any talks with Israel. Both these states, along with most other Arab nations, have traditionally been highly hostile towards Israel, which has only signed peace deals with two neighbors - Egypt and Jordan. However, anti-Israeli sentiment was being superseded by a growing concern over Iran's nuclear program, Tehran's regional allies, and the menace of Islamist militancy, Lieberman said. "For the first time there is an understanding there that the real threat is not Israel, the Jews or Zionism. It is Iran, global jihad, (Lebanese Shi'ite guerrilla group) Hezbollah and al-Qaeda," the foreign minister said. "There are contacts, there are talks, but we are very close to the stage in which within a year or 18 months it will no longer be secret, it will be conducted openly," added Lieberman, who is a far rightist in the coalition government. Lieberman said he was in touch with "moderate" Arabs - a term Israelis often use for Sunni states in the Gulf and elsewhere in the Middle East that align with US interests. He also said he would have no problem visiting Saudi Arabia or Kuwait. "I have spent more than a few years of meetings and talks with them. As far as they are concerned, there is only one red rag and that is Iran," he said. "You have to understand that if in Bahrain outlaws Hamas or Hezbollah, it's not because of Israel. When the presidential candidate in Egypt, General al-Sisi, outlaws the Muslim Brotherhood, it's not because of Zionism. They understand that we are on the same side of the divide," he noted. A spokesman for Saudi Arabia's Foreign Ministry said: "There are no ties or talks with Israel at any level." In Kuwait, Foreign Ministry Undersecretary Khaled al-Jarallah said: "It is not true, we don't have these kind of talks." 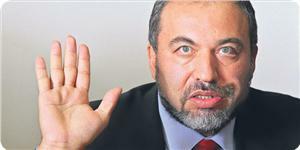 Lieberman claimed a peace agreement could be signed with moderate Arab countries within five years, and claimed that some new Israeli-Arab peace accords would be signed in 2019. Prime Minister Benjamin Netanyahu has long hinted that Israel and the Gulf states share a similar goal in halting Iran's nuclear program, saying they all saw a mortal threat in its ambitious atomic drive. Iran denies that it is planning to build nuclear weapons. Senior Israeli officials have also said that like themselves, moderate Sunni states are worried that Washington was not taking a tough enough line with Tehran. However, analysts have scoffed at the idea that ties between Israel and much of the Arab world could be normalized while the Israeli-Palestinian conflict remained unresolved. US-brokered peace talks between the two are floundering, with no indication that a resolution is anywhere in sight. "To Saudi Arabia and the Gulf states, the cost of open relations with Israel at this time may be higher than the benefit, given the position of the Arab street," Israeli think tank, the Institute for National Security Studies, said in a report in December. Lieberman, who has worked hard in recent months to soften his hardline international image, suggested Arab nations were as eager as Israel to be open about their shared interests. Israeli gas wealth could improve regional relations but will likely deprive Europe of new, alternative supply for Russian imports. Israel has in recent months already signed energy deals with Jordan and the Palestinian Authority, though relations with the Palestinians are at a low ebb, and now needs to expand its export horizons to cash in on its huge energy discoveries. If all goes well, the latest developments could see first pipelines being laid between Israel and Turkey as soon as 2015. Gas cooperation between Israel and Egypt is also on the agenda, which would allow export access to Asia's major markets. A growing population and soaring demand have left Egypt's own liquefied natural gas export (LNG) plants in need of new supply, as domestic shortages eat into seaborne exports through the Suez Canal to the world's most lucrative market in Asia. This has put Israel's previous plans to pump its gas reserves into a future export plant in Cyprus on the back burner, dealing a major blow to the indebted Mediterranean island's ambitions to become a global player in the gas market. A Cypriot LNG export plant was due to deliver at least 5 million tons a year to Europe and Asia, allowing Europe to reduce its growing dependency on Russia, which has become of particular concern since the crisis in Ukraine cast a Cold War chill over East-West relations. Israel's new plans throw Cypriot developments into doubt as investors would require more gas than Cyprus has on offer to make returns on multibillion-dollar investments. "If Israel has really ditched Cyprus as a partner to develop the region's gas resources, then we (Cyprus) really do have to find quite a lot more gas if we want to become a viable exporter, and that would inevitably throw our plans back by several years," said one source involved in developing Cyprus's gas reserves. Israel plans to export gas by pipeline and through several floating LNG production plants, which cool gas to liquid form, so they can ship it to the world's largest markets. At stake for Israel is a $150 billion tax take should export deals be agreed by a consortium operating its gasfields. Its strategic re-alignment effectively places a tantalisingly close new gas province out of Europe's reach. "Ultimately Egypt and Turkey need energy, and the fact that we have it is creating a regional convergence of interests," an Israeli diplomatic source told Reuters. Egypt offers a way for the US-Israeli group of companies developing Israel's giant Leviathan gas field to reach the Asian market, where LNG fetches about twice the price Europeans pay. "If the companies operating the fields in Israel could reach an agreement with the companies that are operating those facilities, it seems it would benefit Egypt, Israel and all the companies," said Eugen Kandel, head of the national economic council at the Israeli Prime Minister's office. Egypt and Israel have had only limited economic cooperation since signing a landmark peace accord in 1979. Political turmoil in Egypt in recent years has further limited cooperation between the neighbouring countries. Talks between the Leviathan consortium – Israel's Delek Drilling, Ratio, and Avner Oil, and US-headquartered Noble Energy – and Egyptian authorities are focusing on feeding Israeli gas into the country's idled LNG export facilities. Britain's BG Group, which runs one of Egypt's under-utilized LNG plants and is among the world's top LNG trading firms, is in talks with the Leviathan partners. The favoured option is to build a sub-sea pipeline from Leviathan to link up with BG Group's offshore pipeline network in Egyptian waters, allowing Israeli gas to feed directly into its LNG plant at Idku, according to industry sources. If realized, this would not only revive output at Idku but also mean that Israel's first LNG exports would take place from an Egyptian plant. Previous land-based pipelines between Egypt and Israel were repeatedly bombed by groups opposed to links with Israel, but a subsea pipeline would be much harder to target. Egypt is struggling to meet rising domestic demand for energy, and a fall in domestic output and power blackouts have stirred dissent in the Arab world's most populous state. Israeli gas could help ease domestic shortages, take the sting out of the energy-related unrest that contributed to the overthrow of former president Mohamed Morsi, and lighten Egypt's $6 billion debt burden to energy majors like BG Group. As part of a twin-track export policy, Israel also aims to ship LNG to distant Asian and South American markets through a floating plant to be moored above the Leviathan field. "We definitely want to strengthen the economic ties with our neighbours, but we also don't want to be too exposed to possible upheavals in the region, so Israel has to have outlets that do not limit us to the region," Kandel said. Once close allies, ties between Israel and Turkey were severely damaged following a deadly raid by Israeli commandos on a Turkish ship carrying pro-Palestinian activists trying to defy an Israeli blockade on the Gaza Strip in 2010. Poor relations remain a barrier to a deal on gas, though the sides are talking. "High-level negotiations on resolving political issues, and lower-level negotiations aimed at making progress on energy have always been held," said a senior Turkish energy official. "Normalization on the relations will pave the way for investment and cooperation on energy." US-led reconciliation efforts in recent months could be boosted by the promise of gas. "There is clearly significant potential for turning East Mediterranean's new gas wealth from a potential source of conflict to a catalyst for regional cooperation," said Oxford Research Group analyst Sara Hassan. "Turkey will want at least to be seen as trying to leverage better conditions for Palestinians alongside any potential deal." 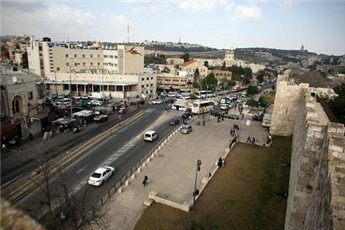 Peace talks to resolve the generations-old conflict between Israel and the Palestinians are close to collapse, with the Israeli government beginning to impose new economic sanctions on president Mahmoud Abbas's West Bank Palestinian Authority amid mutual recriminations about the deadlock. Talks between the Leviathan consortium and Turkish counterparts are focusing on building a 10 billion cubic metre (bcm) sub-sea pipeline at an expected cost of $2.2 billion, giving Israel access to a major emerging market and one of Europe's biggest power markets by 2023. "We think construction phase for a pipeline to transport Israeli gas to Turkey could begin in the second half of 2015," a Turkish energy official said. A separate yet-to-be-built pipeline linking Europe with the Caspian through Turkey in 2019 could eventually also open up a new market for Israeli gas in western Europe. An envisaged 25-year supply deal would steady Turkey-Israel ties and boost economic links, while Turkish sanctions against Israel would be lifted and ambassadors reinstated, he said. "The Turkish market for natural gas is the only growing one (in the region), and the drive to diversify away from Russia will justify Israeli gas to join Azeri, Iranian and Kurdish gas," said Mehmet Ogutcu, chairman of London-based Global Resources Corporation consultancy. "The Turks realize that if this gas project is implemented without their involvement, they will not be a game-player in East Med. Hence, the Turkish private sector could be encouraged to take the lead and politicians follow them at a later stage," according to Ogutcu. Cyprus has been divided since the north of the island was occupied by Turkish troops in 1974. "It does look as if natural gas could help to bring the two sides closer to a settlement since Turkey's primary aim is securing the resources to meet skyrocketing demand," said Nicolo Sartori, energy and defence analyst at the Institute for International Affairs in Rome. "Efforts to get the Eastern Mediterranean gas pipeline have stepped up over the past few months, with the US playing a very hands-on role," said Ogotcu. "The Cyprus settlement is on top of the agenda as it will allow Cyprus to use this pipeline and add its surplus Aphrodite gas." That could persuade Cyprus to give its consent to a pipeline that went through waters claimed by both the Greek-speaking and Turkish halves of the island. Since last year's downgrade of gas reserves at Cyprus's flagship Aphrodite field, it does not have enough gas to underpin its planned LNG export plant at Vassilikos. 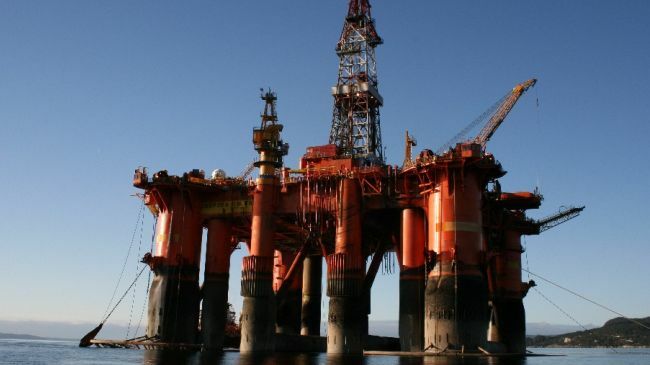 Cypriot officials had counted on additional supplies from Israel to make the export project feasible, encouraged by the fact that Noble and Delek, two of Leviathan's main developers, also own Aphrodite. Deepening Israeli reluctance to share its gas with a rival Cypriot project has stalled those talks.